This is actually my second time to eat here, both times with the same people I might add. It was J, myself, Reshma, her husband Saab and Melanie. 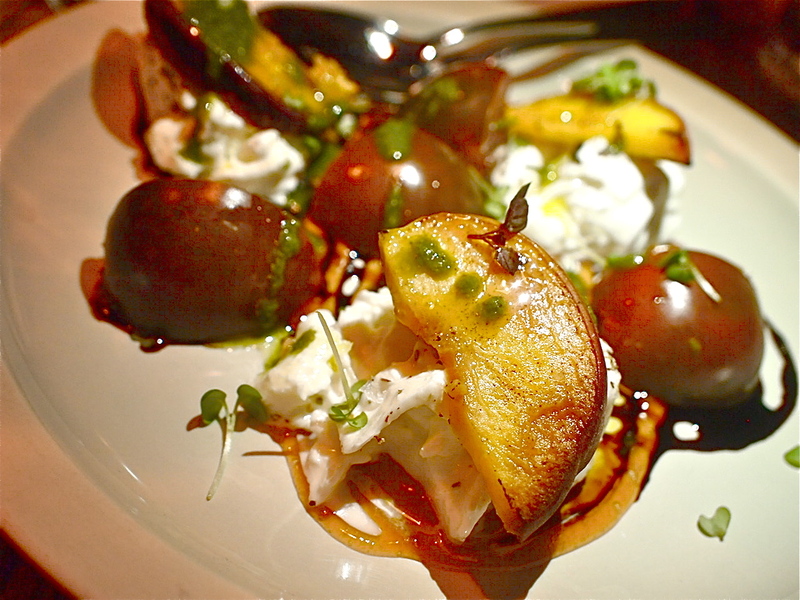 Their burrata here is sooo tasty, we had to get 2 orders for appetizers. 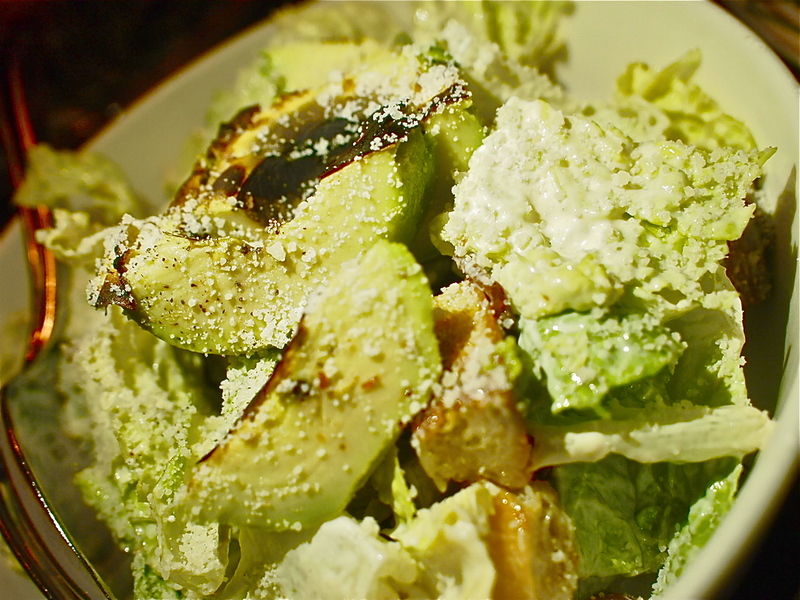 They serve it with grilled peaches, basil vinaigrette and vine tomatoes. This will be my forever repeat first course at Fish & Meat. Compliments of the chef, we had another starter; farm cured carrot and gin salmon tartare. Isn’t it lovely when you get extra food sent to the table, thanks Mel. 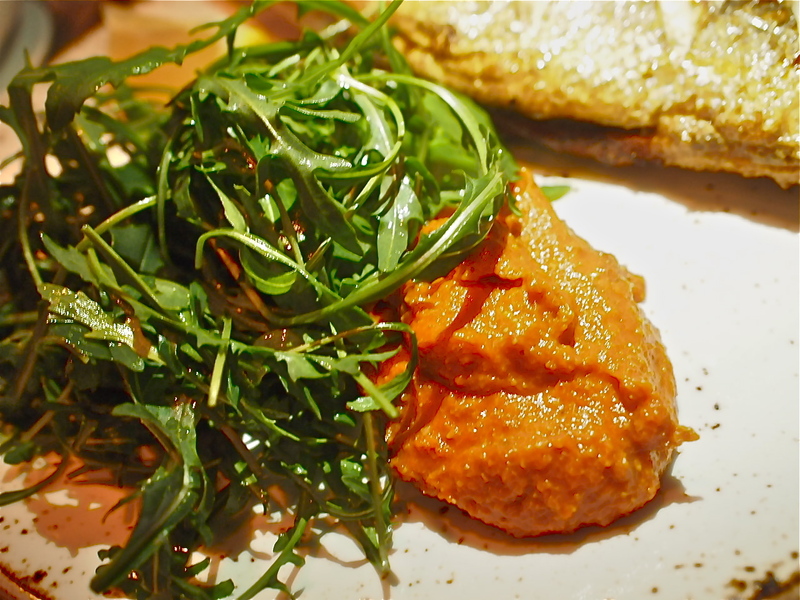 For mains, both couples ordered the whole roasted sea bass -it’s good for 2- that came with an almond romesco sauce. 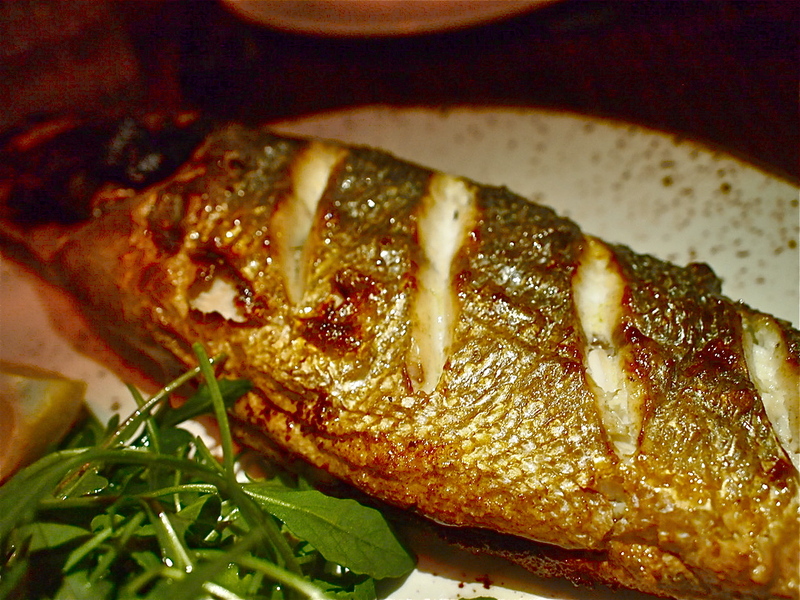 I read online that their sea bass is delivered fresh daily and is line caught in France – woah! 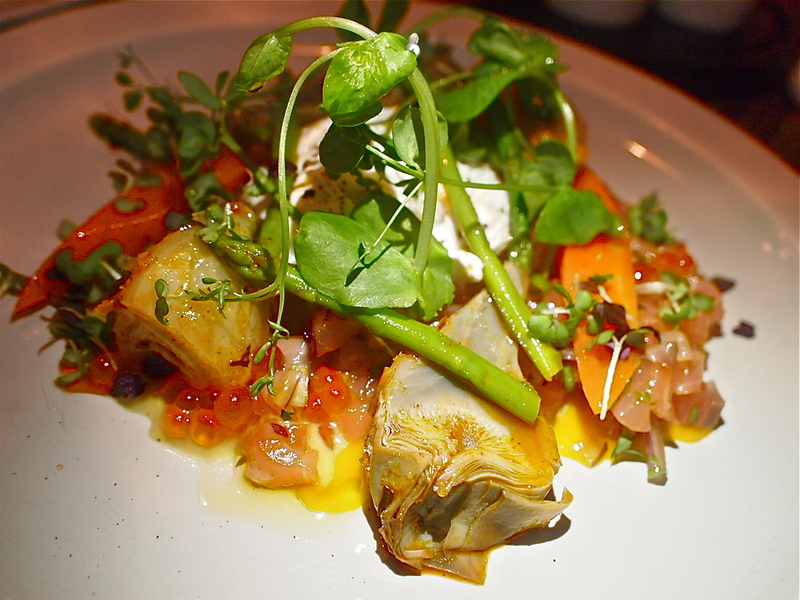 Jon is still talking about the fish preparation, so we definitely scored with that one. 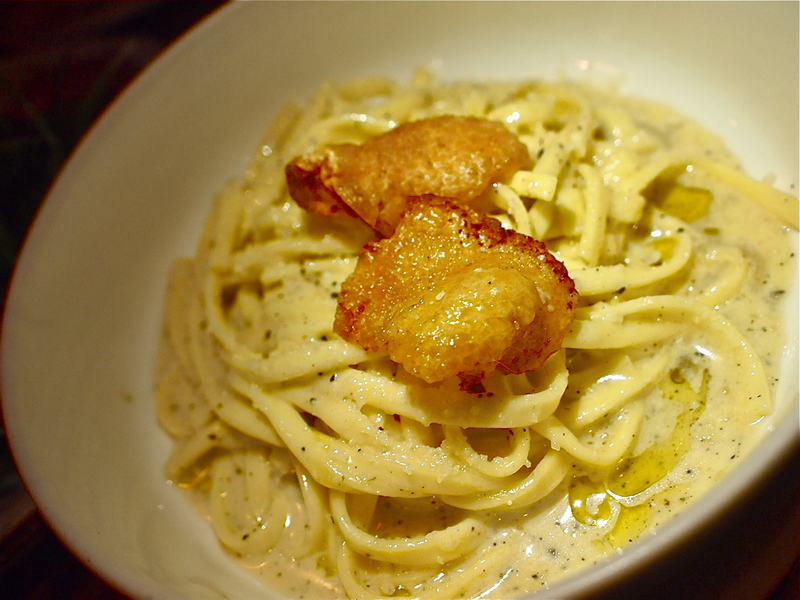 Melanie had her own order of fresh tagliatelle, chicken and truffle emulsion and crispy skin. 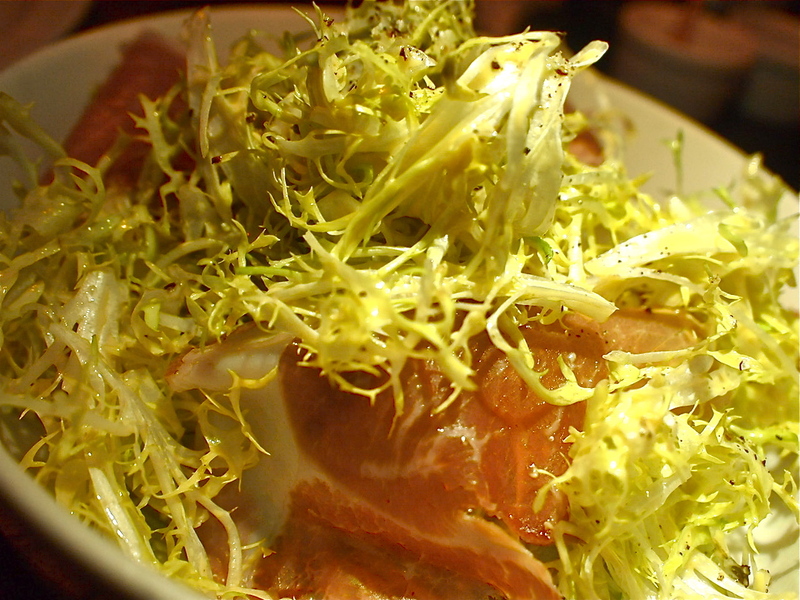 Heads up, this dish is limited daily. It was a night full of chitchat, wine and champagne -again, thanks Mel!- so it was only natural to continue the good times with dessert. 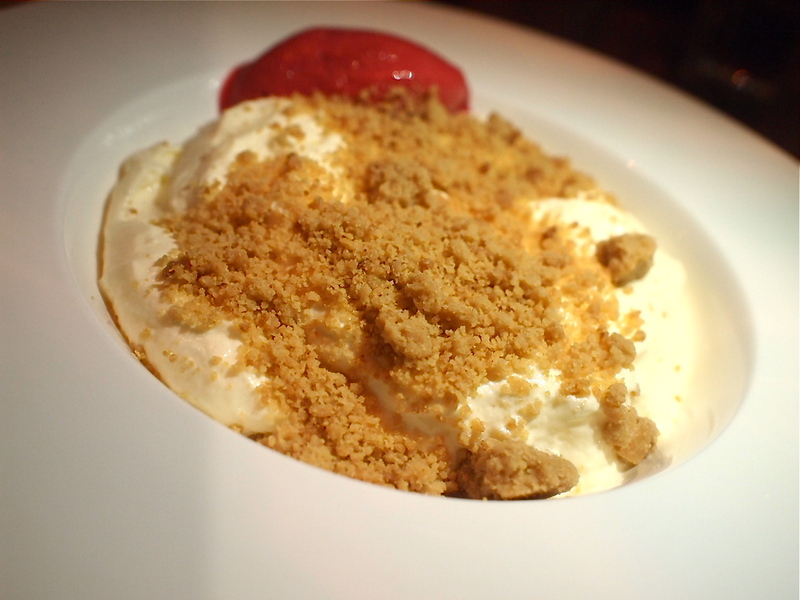 How about some whipped mascarpone cheesecake with raspberry sorbet and short bread crumble? 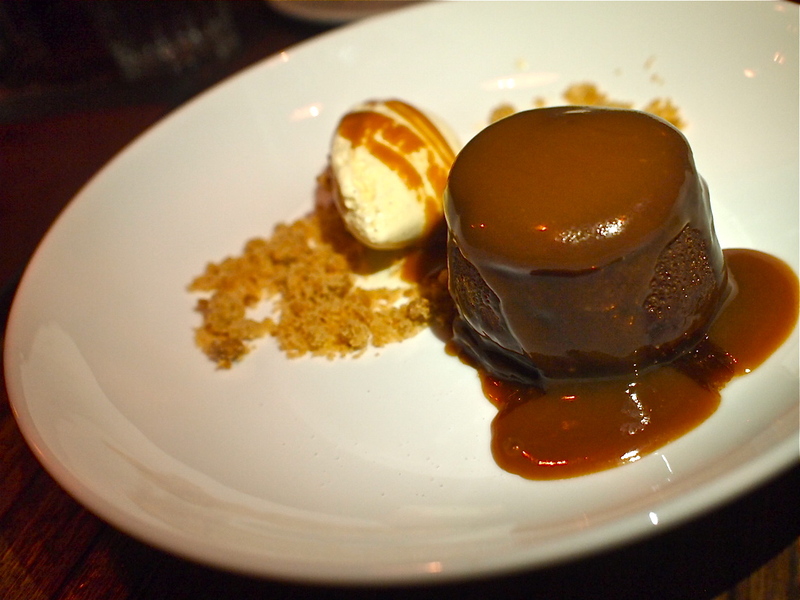 Or, dark chocolate fondant with salted caramel and Tahitian vanilla ice cream? That’s right, I heard you say, “Both!” just as we did. Bon appétit. After our Dot Cod~~~ will definetly try this.